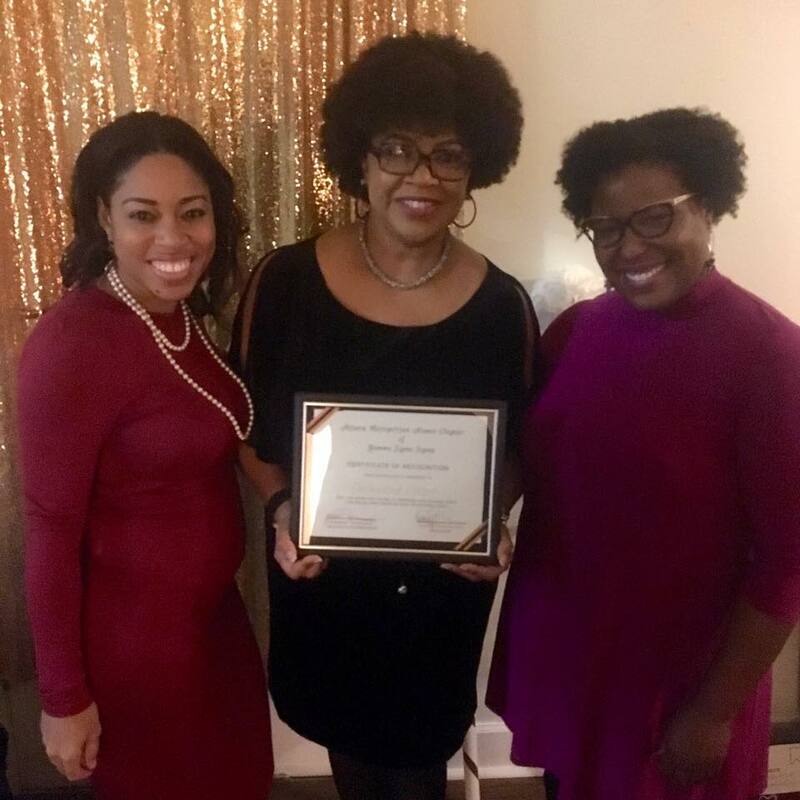 On December 10, 2017, the Enchanted Closet, Inc. was honored to have been recognized by our community partner, the Atlanta Metropolitan Alumni Chapter of Gamma Sigma Sigma National Service Sorority at their Celebration of Service. The members of the organization celebrated their 12th anniversary and recognized the Enchanted Closet for our service to the community. The Atlanta Metropolitan Alumni Chapter of Gamma Sigma Sigma National Service Sorority, Incorporated strives to promote Service, Friendship and Equality across the city of Atlanta and surrounding areas. They have been serving Atlanta and surrounding communities since their founding in 2004 and continuously strive to uphold the ideals and principles of of the national organization. Gamma Sigma Sigma National Service Sorority, Inc. is a national service sorority founded in October 1952 at Beekman Towers in New York City by representatives of Boston University, Brooklyn College, Drexel Institute of Technology, Los Angeles City College, New York University, Queens College, and the University of Houston. Their intention was to form a nationally-based service organization. Service is a way of life for our members and we always welcome others to unite with us in our efforts to change the world the best way we can-in the spirit of service, friendship and equality!